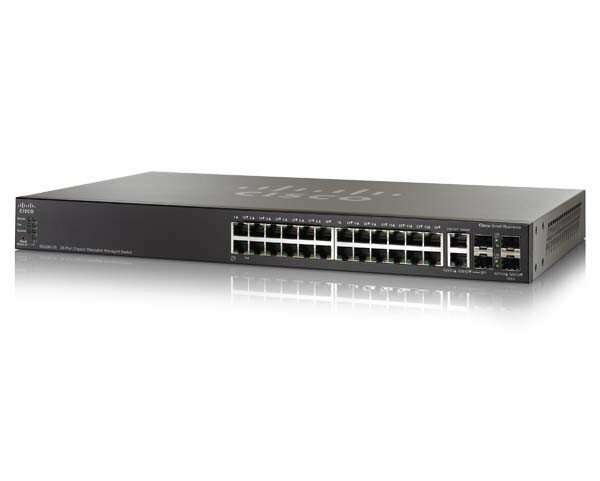 The Linksys WebView Managed switch allows you to expand your network securely. Configuration of the switch is secured using SSL for Web access. User control is secured using 802.1x security using a RADIUS authentication mechanism and can also be controlled using MAC filtering. Extensive QoS features makes the solution ideal for real-time applications like Voice and Video. The 4 priority queues together with the Weighted Round Robin and Strict Priority scheduling techniques facilitate efficient co-existence of real-time traffic with data traffic allowing them each to meet their QoS needs. Individual users or applications can be prioritized above others using various Class of Service options - by port, layer 2 priority (802.1p), or Layer 3 priority (TOS or DSCP). Intelligent Broadcast and Multicast storm control minimizes and contain the effect of these types of traffic on regular traffic. IGMP Snooping limits bandwidth-intensive video traffic to only the requestors without flooding to all users. Incoming traffic can be policed allowing you to control network access and traffic flow. 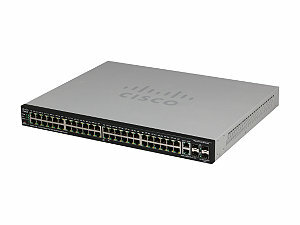 There are features that allow you to expand and grow your network of switches. Link aggregation allow multiple high-bandwidth trunks between switches to be setup. This also provides a level of reliability in that the system continues to operate if one of the links break. Spanning Tree(STP), Fast Spanning Tree, and Multiple Spanning Tree allow you to build a mesh of switches increasing the availibility of the system. The rich management functionality of the WebView switches includes SNMP, RMON, and HTTP Management options, allowing you to flexibly integrate and manage these devices in your network. Automatic Load Sensing - Power control circuitry automatically detects Power over Ethernet on access devices before providing power. 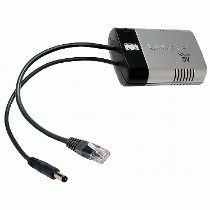 Power feeding of Ethernet is provided on the 10/100 Base-T ports with maximum output power per port of up to 15.4W simultaneously on 12 ports. 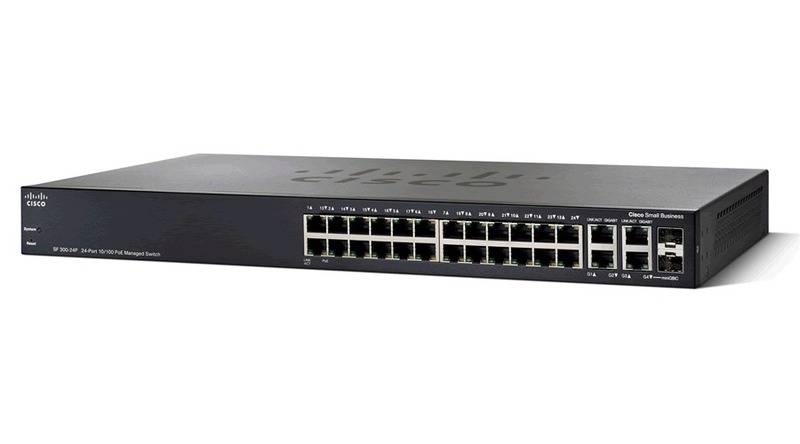 Alternatively, the switch can power all ports at a maximum of 7.5 W per port. Independent overload and short-circuit protection for each port is provided. LED indicators for power status are provided per port.